For shopping fun, head to Vernissage Market or Northern Avenue Pedestrian Street. 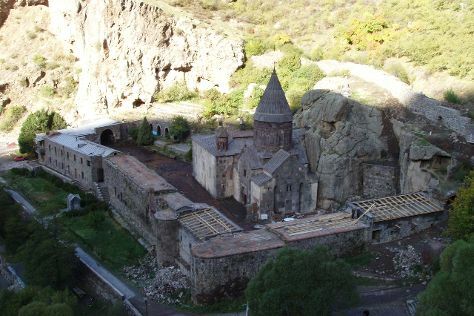 Visiting Hayravank Monastery and Caucasus Mountains will get you outdoors. Step out of Yerevan to go to Geghard and see The Monastery of Geghard, which is approximately 58 minutes away. There's lots more to do: see the interesting displays at Matenadaran - The Museum of Ancient Manuscripts, don't miss a visit to Republic Square, browse the different shops at Yerevan Mall, and stroll through Lovers' Park. To find more things to do, photos, other places to visit, and more tourist information, you can read our Yerevan trip generator. Jeddah, Saudi Arabia to Yerevan is an approximately 10.5-hour flight. You'll lose 1 hour traveling from Jeddah to Yerevan due to the time zone difference. Traveling from Jeddah in November, expect Yerevan to be cooler, temps between 13°C and 0°C. Wrap up your sightseeing on the 23rd (Thu) early enough to travel to Tbilisi. Start off your visit on the 24th (Fri): cruise along Rustaveli Avenue, appreciate the extensive heritage of Old Town (Altstadt) Tbilisi, then delve into the distant past at Narikala Fortress, and finally look for gifts at Gallery 27. Get ready for a full day of sightseeing on the next day: take an in-depth tour of Georgian National Museum and then take in the architecture and atmosphere at Tsminda Sameba Cathedral. For other places to visit, ratings, and more tourist information, go to the Tbilisi travel itinerary creator. You can fly from Yerevan to Tbilisi in 3 hours. Alternatively, you can take a bus; or drive. 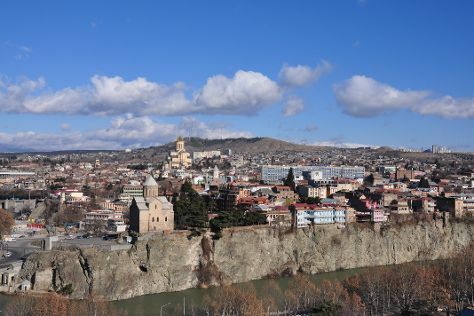 Expect a bit warmer evenings in Tbilisi when traveling from Yerevan in November, with lows around 5°C. Cap off your sightseeing on the 25th (Sat) early enough to travel back home.